On Saturday 22nd and Sunday 23rd October the historic Galle Fort came alive as children from throughout the Southern Province took part in the inaugural Galle Children’s Festival. 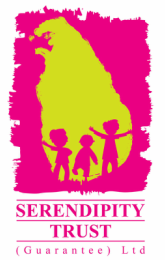 An initiative of the Galle Literary Festival and AdoptSriLanka, this festival involved well over 1200 children who took part in a range of workshops, performances and field trips. This Summary Report provides a brief snap shot on all of the festival activities. The inaugural Galle Children’s Festival opened on Saturday 22nd October 2011 with a parade involving local school bands and dancing groups. The parade wound through the historic Galle Fort before joining at the Law Court Square for the Official Opening Ceremony. The official opening ceremony of the Galle Children’s Festival took place at the Law Court Square following the School Band Parade. Local schools performed a Sinhala welcome dance and Tamil welcome song before the lighting of the traditional oil lamp. Rehana Wettasinghe & Akram Alavi ran workshops for children aged 5 years and above sharing the fun of experimenting in the kitchen! Participants learnt how to make their own pancakes, pizzas and cakes – their favourite part was tasting it all at the end of each session! ECSAT Community Services gave students the opportunity to experience first-hand what it can be like to try and navigate public spaces when confined to a wheel chair. They sped around the historic Galle Fort in teams collecting treasure hunt clues before joining up at the Court Square for refreshments and prizes. Mika Tennekoon and Will Henley worked with students to create their very own unique books! These workshops involved writing the story, illustrating their books, making creative covers out of paper and fabric and then binding them together! Rehana Wettasinghe & Akram Alavi worked with children to create their very own colourful and creative pots and plates! Participants enjoyed using all the bright colours to create an original design that they could take home and display. Jetwing Naturalist Anoma Akagiyawadu took children on an exploratory adventure across the rock pools of Dadalla. During this Field Trip they had the chance to see many weird and wonderful creatures living amongst the rocks and learnt how they can preserve and protect them. Sri Lankan Dance Students had the unique opportunity to participate in Classical Ballet classes with visiting Ballerinas from the Royal Ballet in the UK. They learnt the basic steps derived from the original choreography of Tchaikovsky’s Sleeping Beauty before enjoying mini performances at the end of each session. Actors from Mind Adventures Theatre Company took young participants through the steps of writing, directing and acting in their own mini productions. They worked in small teams to collaboratively build a story and characters through fun improvisation exercises. These sessions culminated in live performances on the Law Court Square Stage. ECSAT Community Services spent the morning with over 200 young participants, some with various levels of disability, enjoying a range of interactive performances as well as art & craft and music activities. These sessions aimed at encouraging people to focus on the ability rather than the disability and proved that all children can take part and enjoy festivals! DJs Asvajit Boyle and Givanke Goonetilleke led participants through the ins and outs of mixing music in this full day workshop. Participants all had the chance to use the state of the art DJ equipment before recording some of their music on to a CD to take home. Author Michael Meyler along with interpreters Thilini Ranasinghe, Niruba Pushparaj and a representative from Children’s Hope, carried out a multilingual story telling session of the story Keerthihan’s Kite in Sinhala, Tamil, English and Sign Language. Following this session children had the chance to make their own colourful kites before flying them on the ramparts of the Galle Fort. Photographer Ruvin De Silva spent a morning teaching students the ins and outs of photography before working with them to get out and about and take photos of the festival activities. Some of these photos have been included in this report! Trainers from the British Council worked with 4 groups of 50 children over the weekend to carry out poetry workshops. Students had fun exploring the different aspects of poetry writing, reviewing famous poems and having a go at writing their own! Students, teachers, parents and members of the Galle community were able to sit back and enjoy short films made by Sri Lankan young people during the 2009, 2010, 2011 and 2012 Galle Film Festival Youth Camps. These annual camps bring young people from across Sri Lanka together to enjoy all aspects of film making before making their own short films! Sri Lankan Puppeteer Sulochana Dissanayake ran interactive improvisation sessions focusing on using puppets to tell a good story. Students learnt how the use of their voice and physical movement can create dynamic performances for others to enjoy. Sunara Jayamanne spent the afternoon with students from Galle schools sharing a range of fabric dying techniques. Students got to tie and dye their own outfits, pillow cases or squares of fabric and take them home as a special keepsake of the fesitval. Students from Janadhipathi Balika and Siridhamma College took part in a fun debate in front of a live audience in the Halle De Galle before the audience had the chance to vote for their favourite debating team. Neluka Silva, professor in English and head of the Department of English at the University of Colombo and the founder-director of Kids @ Play children’s theatre group worked with groups of students during the Festival. Students were led through all aspects of ‘what makes a good story’? including character development and plot. Each participant had the chance to read their story out by the end of their session. Throughout the Galle Children’s Festival the Halle De Galle stage came alive with the performances by local schools students. Students from Dhamarama Model Primary, Dikkumbura Primary, Siridhamma College, Janadhipathi Balika, Welhengoda MV and Ihalagoda KV all had a turn on stage showcasing their talents. Local charity for children with hearing impairments ‘Children’s Hope’ taught participants how to ‘sing’ the Sri Lankan National Anthem in sign language! This workshop opened up the communication gap between all festival participants and enabled further communication. Workshop leaders Lucy and David took participants through a musical journey through a well-loved children’s story. Students had the chance to make their own musical instruments to help beat out the rhythm of the story. Throughout the festival the British Council ran art competition sessions for over 400 children from schools throughout the Southern Province. These images were later judged by the Festival Founder and will all be exhibited in a British Council Exhibition in Colombo. The British Council Library Team took students through a range of interactive art and craft activities linked to the stories Little Red Riding Hood, Harry’s Hazlenit, Can’t You Sleep Little Bear? and The Recue Party. David, Yvette and the team from Samakanda took students on this adventure through the biodiversity project Samakanda. Set in sixty acres of tea estate and pristine rainforest, Samakanda is an ecological sanctuary and tropical forest garden bursting with produce. Students had a great time exploring this sanctuary and even had the chance to try their hand at weaving animals from local reeds. The British Council Library Team ran these fun activities. Young participants had the chance to create their own colourful woven art works and origami creatures using strips of paper! Students had the chance to mix their love of drama and writing in this fun workshop led by Sri Lankan puppeteer Sulochana Dissanayake. This introduction to script writing demonstrated the simple tools that students can use to transform their ideas in to fast paced, humorous dialogue. On this field trip organized by Rainforest Rescue International, students were invited to be ‘rainforest rangers’ for the day. They took part in a walk around a local rainforest learning about the importance or conserving our natural flora and fauna before each planting a tree from the RRI Nursery. Photographs taken by young participants of AdoptSriLanka’s SnapLanka Project had their images exhibited in a group exhibition at Mama’s Café in the historic Galle Fort. This project involved students from the eastern and southern provinces of Sri Lanka who took part in a series of photography workshops which culminated in this group exhibition. Over 600 original art works by local school students were on display during the Galle Children’s Festival. These art works were entries in the Galle Children’s Festival Poster Art Competition where two entries were selected and used in the official Festival Posters.